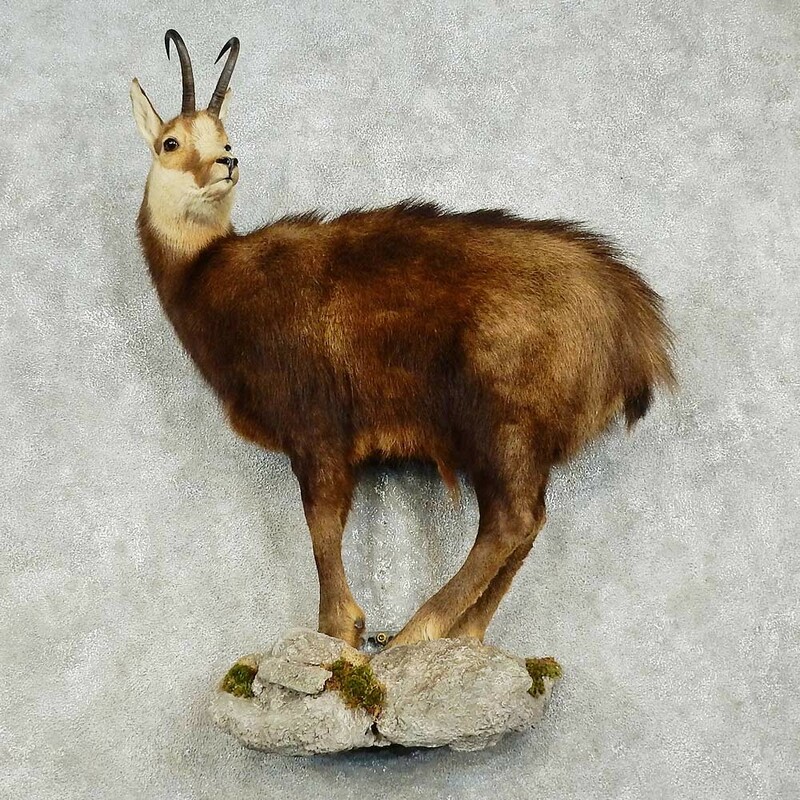 This is a fantastic South Pacific Chamois life-size taxidermy mount, mounted on a custom habitat wall-hanging base. The mount itself is in outstanding condition, and features beautiful hide and hair quality. The horns are incredible as well, achieving an SCI Gold Medal Score of 26", and ranking #31 overall in the SCI record book. 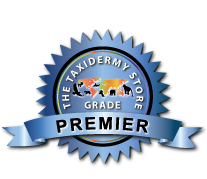 All this combines to earn this item our Premier™ overall quality rating. All applicable measurements and dimensions are provided to help ensure this item will fit within your intended space. The Alpine Chamois is a caprid species native to the mountainous regions of northern and eastern Europe. The male chamois is slightly larger than the female, while both wear a thick, shaggy brown & auburn coat that turns a lighter shade of grey in the winter months, providing camoflage. Both males and females have short sets of sleek black horns which slightly hook at the tip. The chamois head has a unique coloration, including tan necklines and a light white shading that highlights the large black stripe under the eyes. Bronze - 22" Gold - 24 2/8"